Allison Farrar, right, received a Summer Undergraduate Research Fellowship from the National Institute of Standards and Technology. 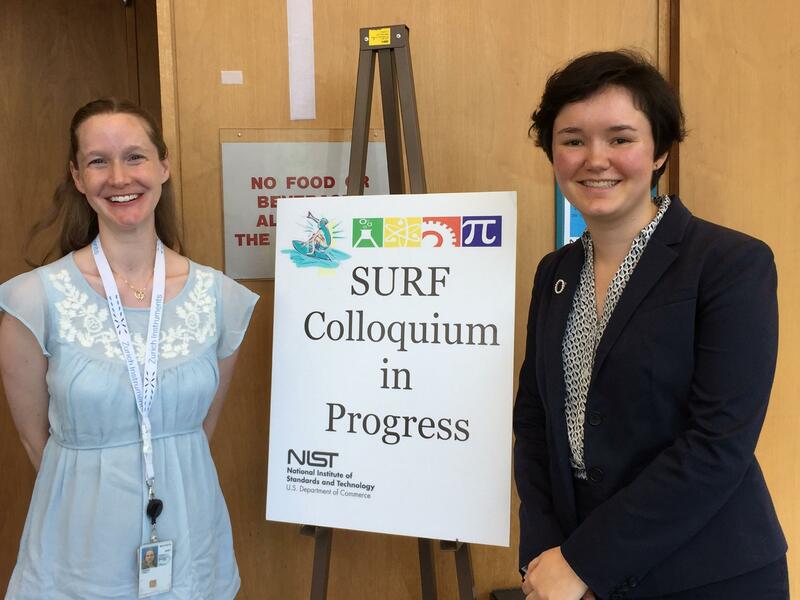 From the October 2017 Desktop News | Senior physics student Alison Farrar was selected to continue her research in Gaithersburg, Maryland, during the summer of 2017 as a part of the Summer Undergraduate Research Fellowship (SURF), a prestigious opportunity from the National Institute of Standards and Technology (NIST). Farrar, whose research focuses on magnetic nanothermometry—a technique where magnetic properties can be used to measure temperature remotely—said the experience was invaluable as she works to determine her career in medical research. Farrar worked closely with Dr. Cindi Dennis, a staff scientist in the Material Measurement Laboratory at NIST who initially introduced the SURF program to Farrar. With Dennis as her mentor, Farrar explored the way materials can be optimized for magnetic nanothermometry in regards to living cells, among other things. At the end of the summer, she presented her work as the Material Measurement Laboratory plenary speaker at the conclusive SURF colloquium.  Beyond the scholarly experience, Farrar said SURF offered many other benefits as well. Farrar’s interest in medical research was stirred when she worked shifts in the neonatal intensive care unit at Los Angeles County-USC Medical Center when she was in high school. “After volunteering for three years in the NICU at LA County-USC Medical Center, I saw how much medical technology had changed in just the short time I had been there and how much it had improved outcomes for babies born today compared to when I was born,” she said. Farrar, who will graduate in May of 2018, is currently applying to medical scientist training programs, which are combined MD and PhD programs to prepare her to be a medical researcher.